The inspiration for my look came from one of Hana's shawls. The initial idea was the incorporate similar-coloured shawls into our looks by wearing it but seeing as I own none, I instead decided to create a look to complement the colours and patterns on her shawl, as though I were wearing it. Seeing as there were many colours and patterns going on with the shawl with contrasts of dark and light, I decided to keep my look fairly neutral with a slight pop of colour to my eyes. 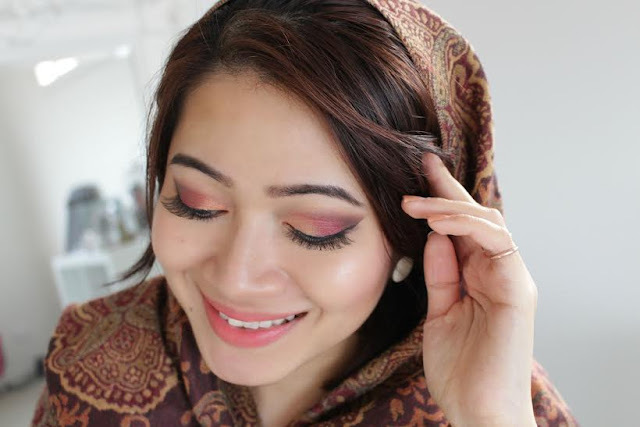 With the crimson and berry tones in the shawl, I chose a berry-shaded lipstick to pair the look as well as blending in a berry eyeshadow colour. I'm getting better at filing in my brows - practice makes perfect! 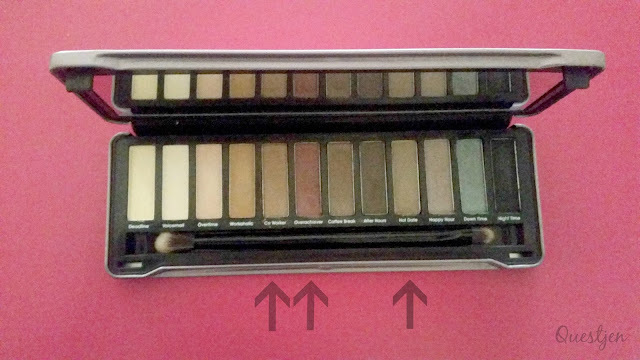 I used three shades from the Day to Night SHADOWS palette (which looks strikingly similar to Urban Decay's Naked 1 palette but we've already established this long ago). Apologies for all of the noise in the photo, photography and photo editing are still not my strengths. Anyway, I've indicated with arrows which colours I used. 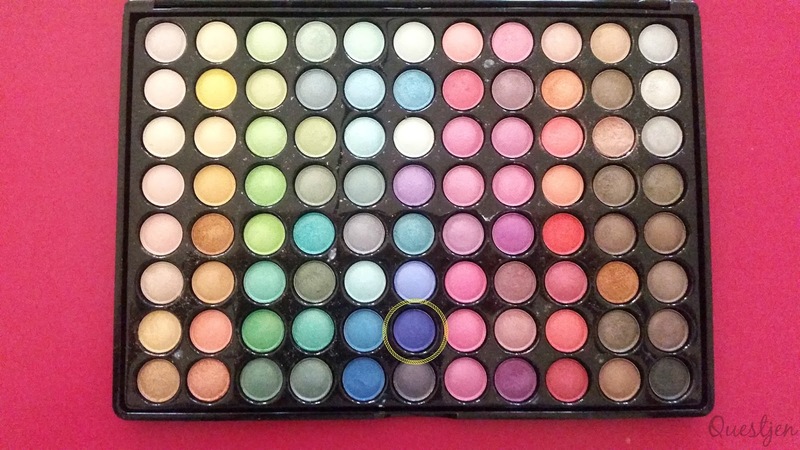 I started off with 'Hot Date' (third arrow) as my base taupe colour, then used the crimson shade 'Overachiever' (middle arrow) on the centre of my eyelids to make my eyes pop. For the outer corners of my eyelid, I used 'Co-worker' (first arrow) and blended this into my eyelid's crease. 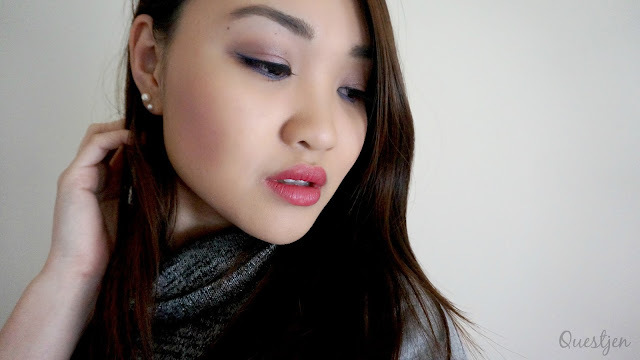 I blended the colours in to create a subtle smokey look. 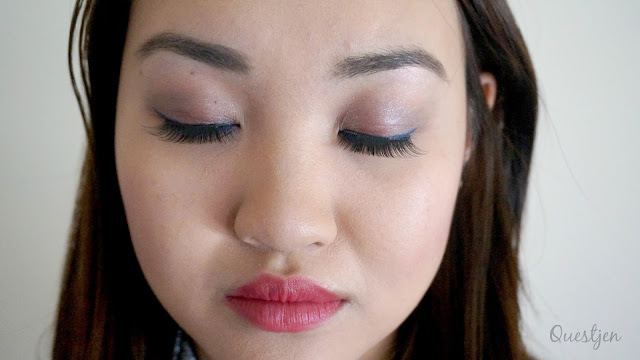 I really wanted to add a touch of blue to the look so I decided that the best way to do this without blending it in with the rest of my eyeshadow was to use it as a lower lash line colour. I used the shade circled on my 88 Shimmer Palette above and ta-da, I was happy with the colour combinations. Used a blue liquid eyeliner for my upper lash line and added mascara and falsies - look complete! I got a bit of an 80s-90s vibe from the shawl as it looked a little retro so I found that my colour combinations matched well with the retro-ness of the accessory. 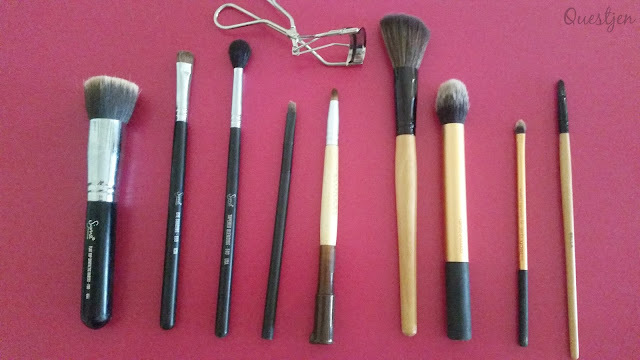 Using blue eyeshadow and eyeliner already brings back memories from the past! Definitely suitable for daytime wear! So on point and stunning! Seeing Hana's look after doing mine makes me think 'wow, I should've done that' haha but nonetheless I had fun with what I did and keep it fairly winter-themed and subtle. 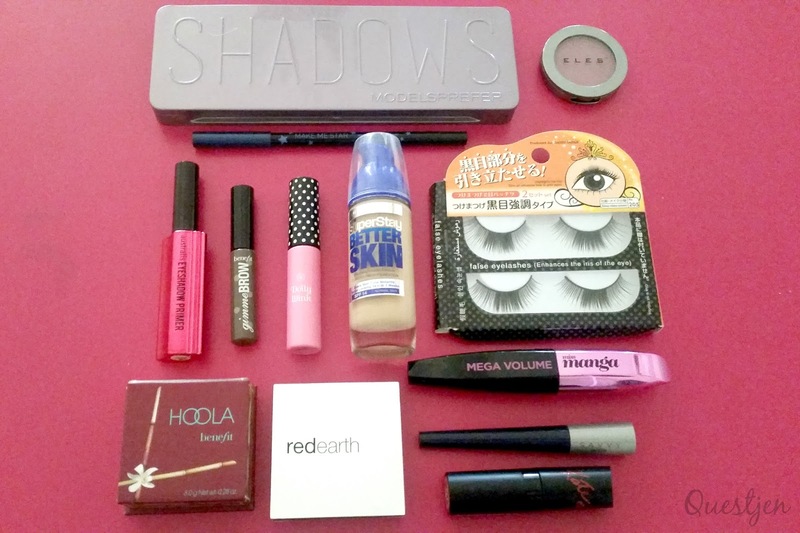 Hana's the pro here, the makeup artist so big claps for her gorgeous look! I think my next makeup look should be a vibrant one though, what do you reckon? Anyway, now that you've had a preview of Hana's look, I definitely suggest that you go and check it out and leave some love on her blog as well! 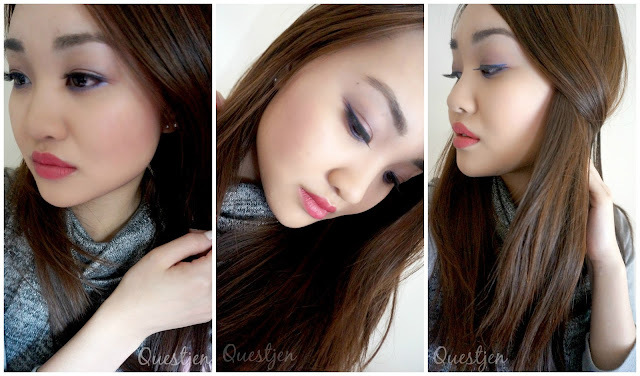 How do you like your eye makeup - vibrant or subtle? Both is great depending on the occasion however I never wear a lot of makeup so subtle is the way to go for me! You are too sweet Hana! Of course, that would be awesome!! such a gorgeous look! loving how clean and sophisticated it looks! Gorgeous! Love the look, very pretty. girl! Your skin is flawless!! 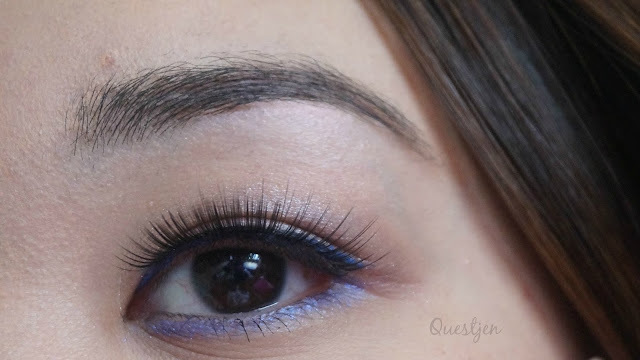 Love the pop of blue/purple on the eyes! Aw no it's far from flawless!! But thank you ^^"